Sofia Rego has been working as a professional Massage therapist since 2005 after finishing her studies in Ayurveda, with specialization in massage therapy from the Pune University in India. After many years of working with Luxury Therapy alongside therapist from all around the world in various 5-star hotels in India and Dubai, Sofia has taken to heart the need for a deeper focus on the Holistic approach. Keeping in mind the individual and to work around the needs of the body. She doesn’t focus on just giving you a good massage; the focus is on the complete body so that every part of you can benefit, ensuring that the root cause is addressed. This helps us as humans to become happier and healthier. The body is like a tree with roots, branches, and stem. If one part is not well, later on, the whole tree becomes unwell. Her therapy looks at this whole, through energetic work, derived from the Chakra system, using hot stones, crystals and oils based on your personal needs. Since the human body is made up of the mind, body, and soul, all three must be in working order so that a free flow of energy is achieved. Through her practice, she works hard to release this energy and promote well-being. Sofia wants to share her wide experience, knowledge of Ayurvedic rituals and the power of touch through her massage sessions. 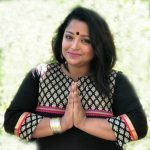 She is a passionate healer with an alternative approach, dedicated to helping her clients move through a wide range of physical, emotional, and spiritual transitions in the most efficient and transformative way possible.